It is a common question during your first or second year engineering that which mini project should we do so that it will be useful in our day to day life and we will also get its output without too many efforts. 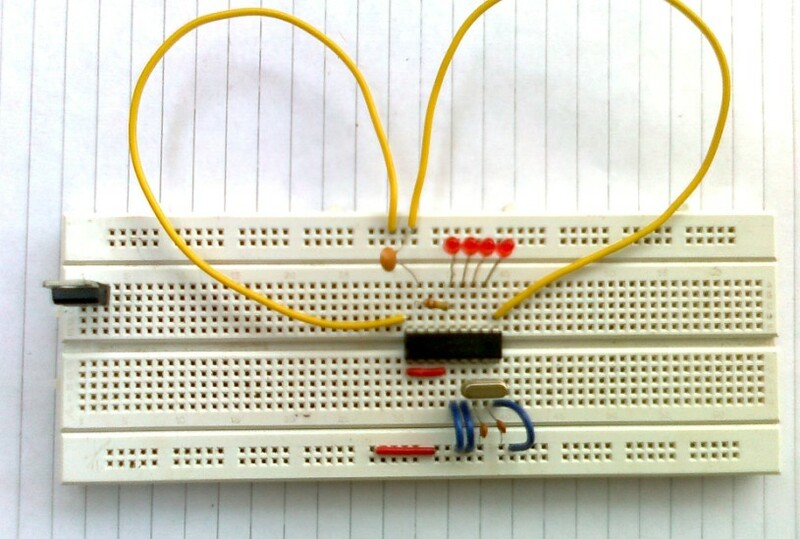 So here are some electronics mini project ideas for electronics engineering students. Mobile incoming call indicator: This is one of the most attractive and useful mini projects in electronics. 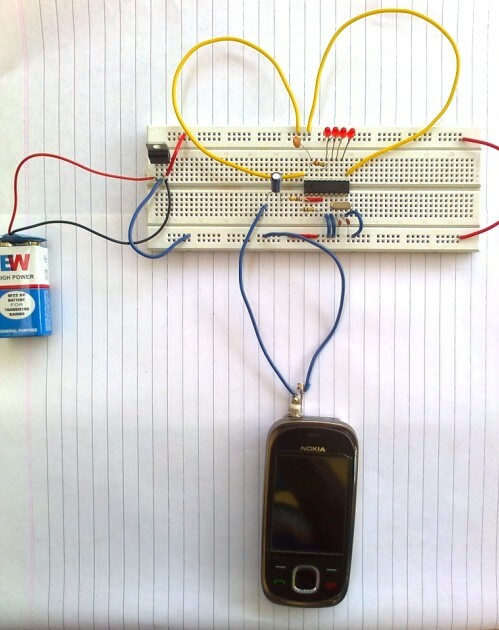 It uses an inductor coil which acts as an antenna for the mobile incoming call and operates other circuitry which will glow a LED or buzzer when you are receiving any mobile call. Check the details of this project here. 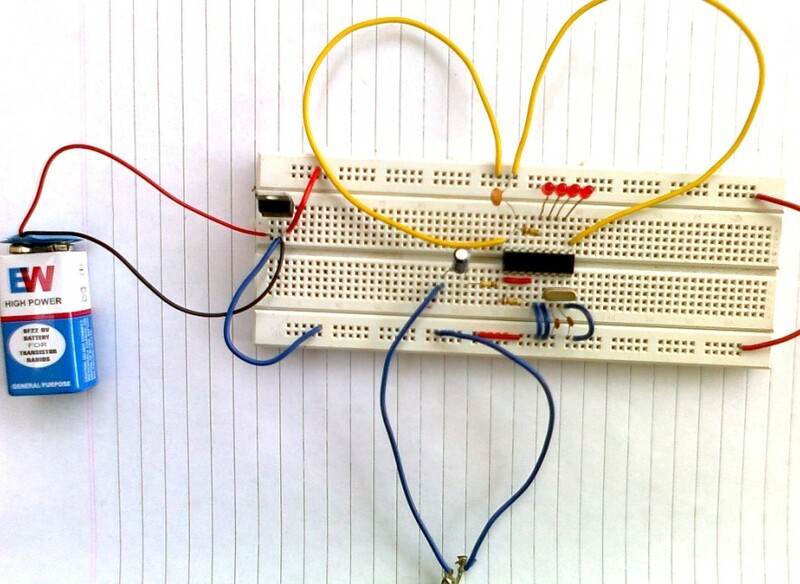 Fire alarm circuit using IC 555: This is one of the best mini projects which most of the student would like to do as their first mini project. 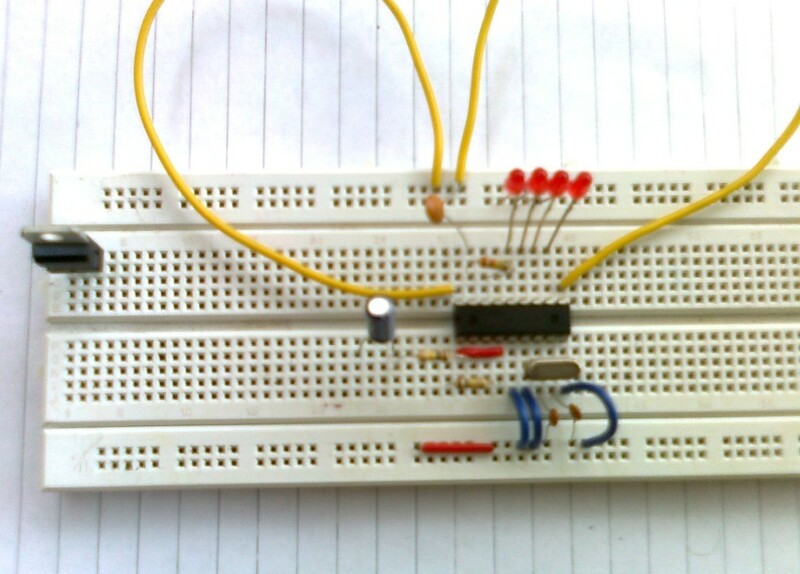 In this project, we are using 555 timer IC along with thermistor. The thermistor is used to detect the fire. For more details of this project click here. 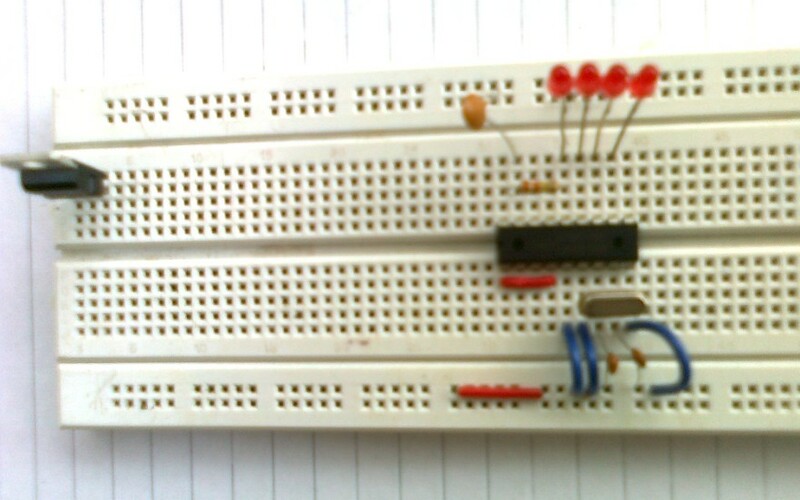 Water level indicator Alarm circuit: Another simple but useful mini project is water level indicator. In this project, we are using one buzzer which will generate sound as an alarm when a water level reaches a particular level. The cost of this project is very low and you can check its details here. Night lamp using 555: in this project, a bulb (CFL or any other) is used which turns on in the night automatically and get turns off when there is sufficient light in the room. 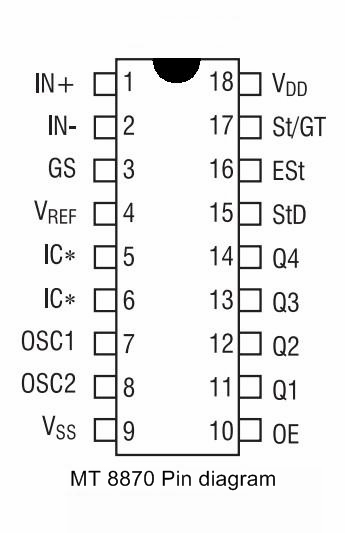 Reminder alarm using IC 555: This mini project generates reminder using a buzzer after some specified time interval. IC CD4017 is used in this project which will start counting and after some time will give the signal to the buzzer for alarm. Before reading following project ideas, I will recommend seeing a DTMF project which will produce a BCD value of pressed mobile number. By using this output you can do following mini projects easily. DTMF Based home automation system: in this project we can operate home appliances using our mobile phone. When we press different numbers on the mobile keypad it will operate different electrical types of equipment like a fan, bulb, etc. Click here to know more about this project. DTMF Based Electronic Voting Machine: This is one of the best projects for second or third year engineering students. In this project, you can do voting using your mobile phone. 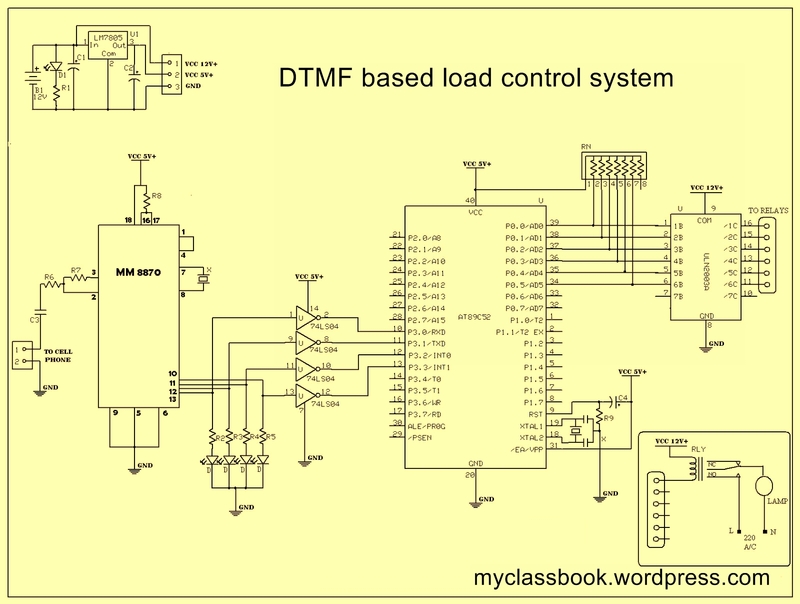 DTMF based water pump controller: This is also one good mini project idea for electronics engineering students. You can operate your water pump using your mobile phone. Now there is no need to go to the place where the motor is mounted just call from your mobile and press assigned number it will on or off motor automatically. This project works on the principle of DTMF (Dual-tone multi-frequency). 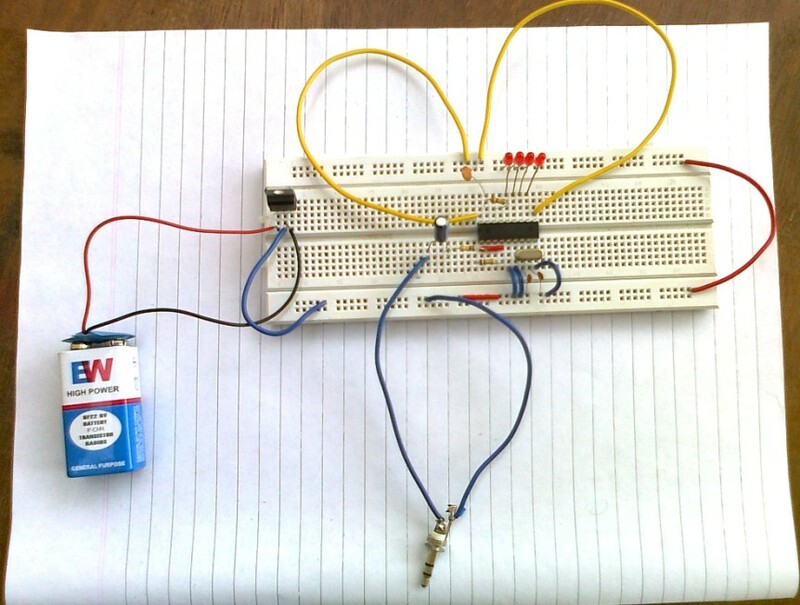 This circuit can be used to control or on/off the load i.e. electric equipment like a fan, bulb, water pump, etc. We know that in industries, loads are distributed over large distances, and it is not convenient to operate all those equipment time to time and it is also time to consume. Also in agricultural fields, water pumps and other electric systems are spread over the large area and it is hard to operate these systems to farmers. 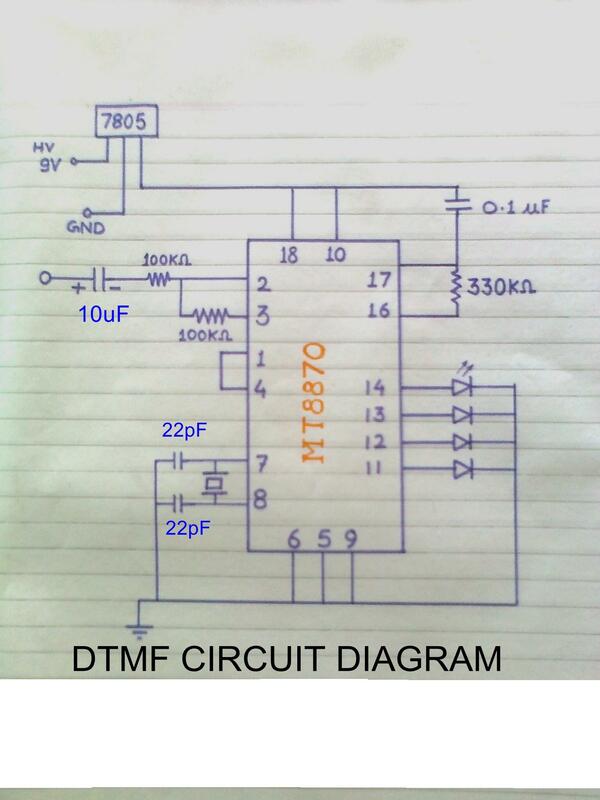 We can use this circuit in the home too, therefore this can also be called as DTMF based home automation project. 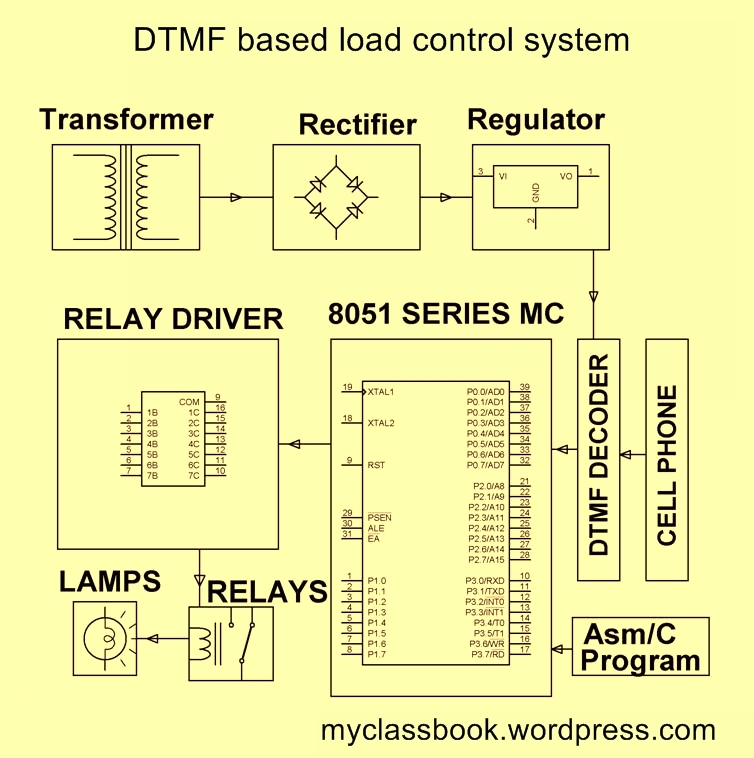 Keeping all these problems in mind, a DTMF based load control system is designed as follows. In DTMF based load control system, a cell phone (mobile) is connected to the circuit from its audio output (audio jack) to receive the tone generated by the operator mobile. Whatever audio signal (in the form of frequency) is received from mobile then decoded (to its digital code) by the use of DTMF decoder which is one of the main parts of the project. Then this digital code goes to 8051 microcontrollers which on/offs respected relay to control that electric equipment. 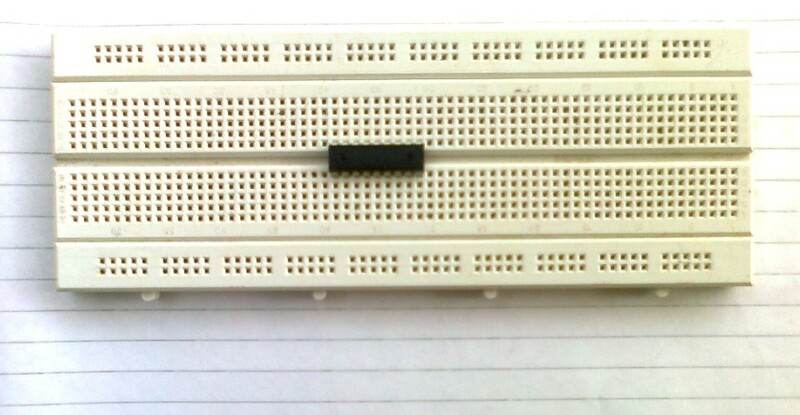 a relay driver IC is interfaced with the microcontroller to actuate the relays. Temperature controlled DC fan using a thermistor (mini project). Clap Switch Circuit mini project. Digital stopwatch using 8051 microcontroller mini project. 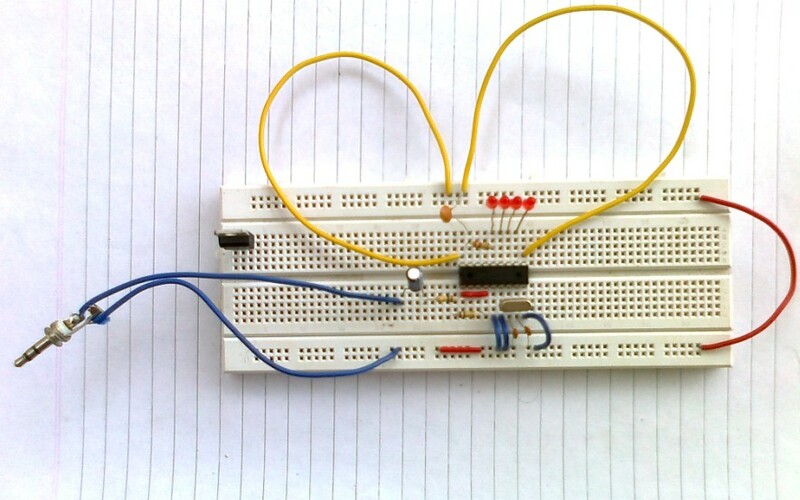 Digital Voltmeter using 8051 microcontroller – Mini-Project. Mobile Incoming Call Indicator (Mini-Project). 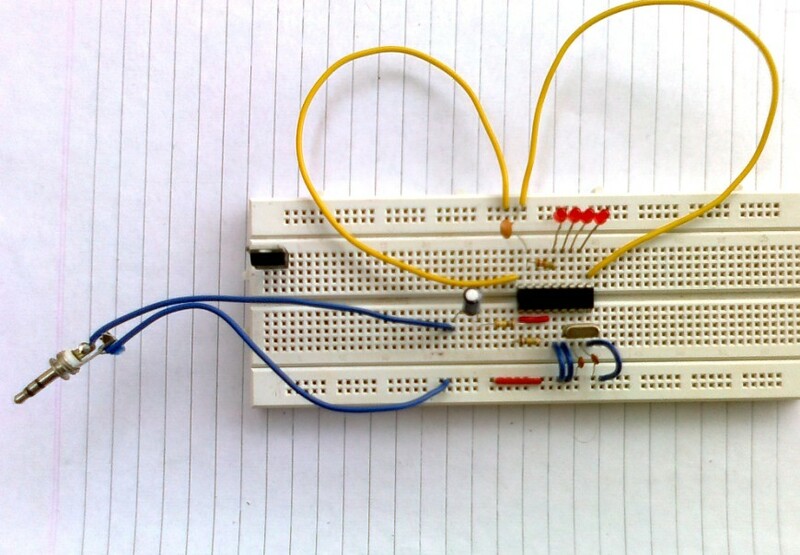 How to make DTMF decoder MINI-PROJECT. LED Dice using a microcontroller. 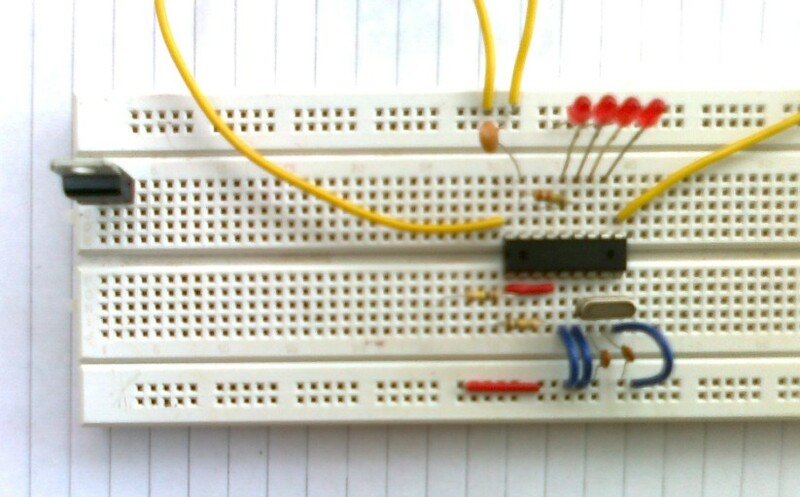 1) Step 1: Insert the DTMF IC (MT8870) in the breadboard. 2) Step 2: Ground pin no 5, 6 and 9. 3) Step 3: Now connect the four LED’s to pin no 11, 12, 13, 14 with respect to ground. 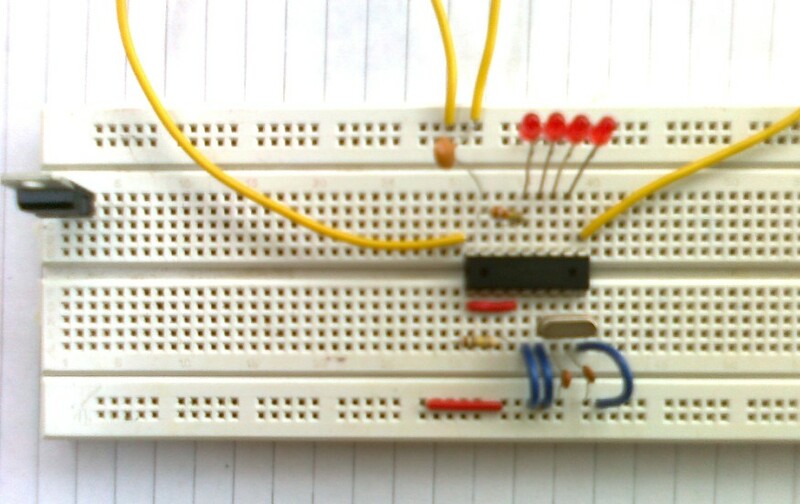 5) Step 5: Connect a crystal oscillator to pin no 7 and 8. 6) Step 6: Short pin no 1 and 4. 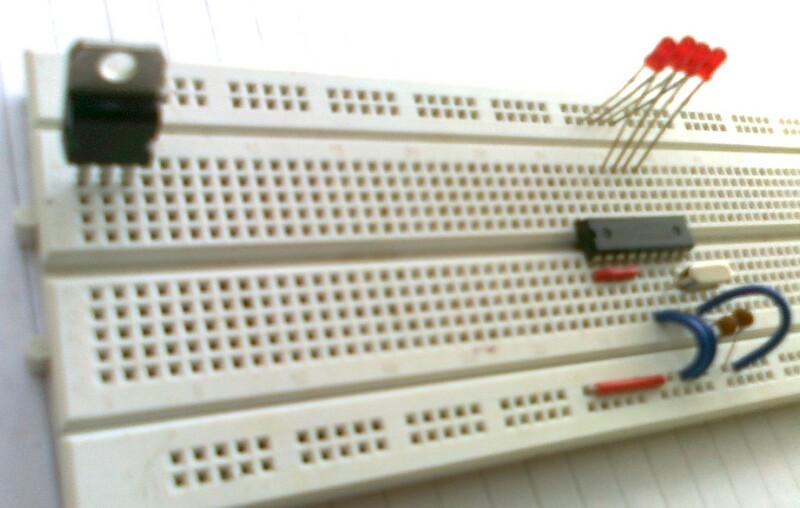 7) Step 7: Insert IC 7805 anywhere on the breadboard. 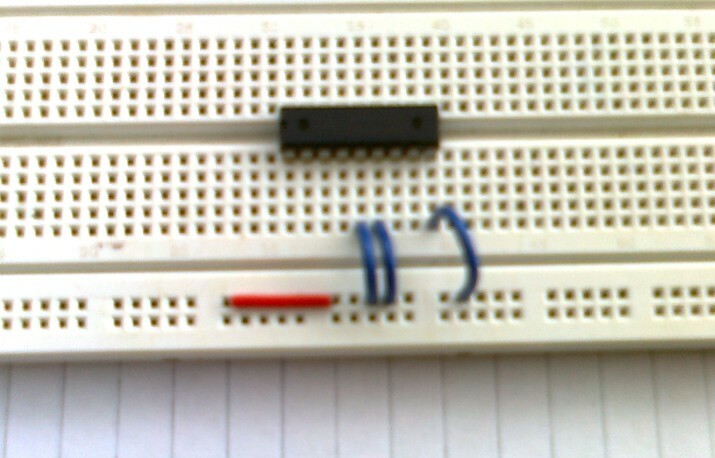 8) Step 8: 330K resistor between pin no 16 and 17. 9) Step 9: Connect 0.1uF capacitor to pin 17 with respect to 5V. 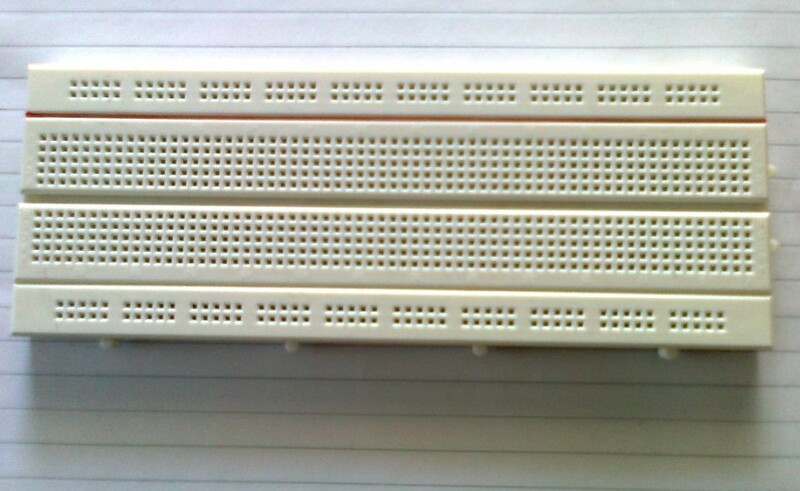 11) Step 11: 100K resistor between pin 2 and 3. 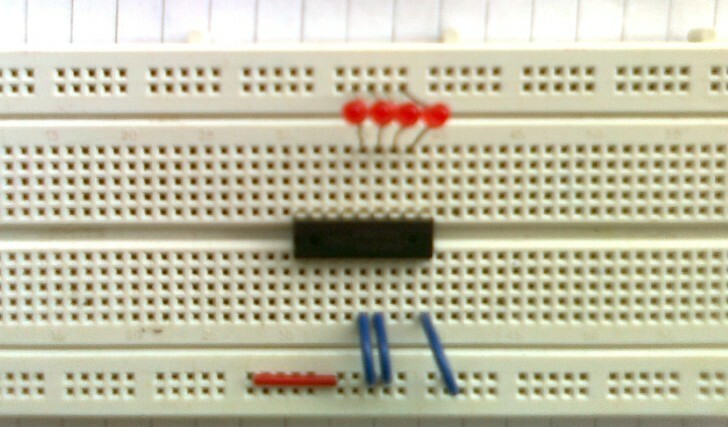 12) Step 12: Connect one pin of 100K resistor to pin 2 and leave other for next step. 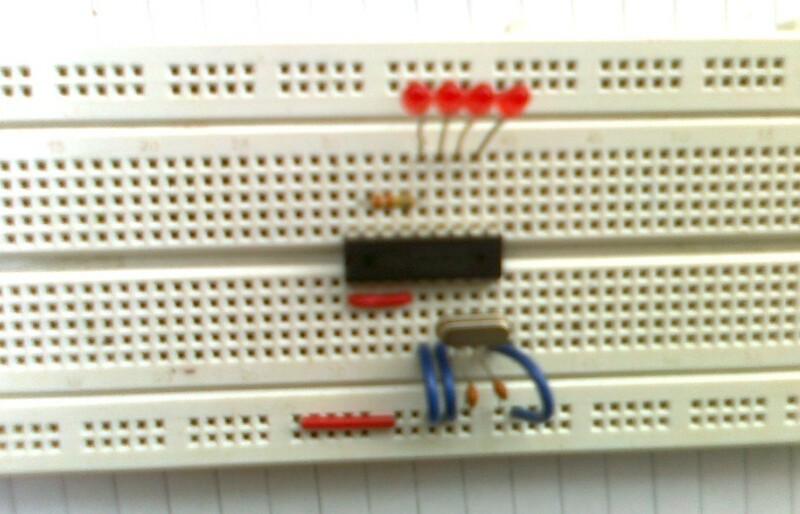 13) Step 13: Connect negative end of 10uF (50V) capacitor to another end of 100K resistor and leave +ve terminal for next step. 14) Step 14: Connect a mobile headphone jack (+ve) to the positive terminal of capacitor and other terminal grounded. 15) Step 15: Make proper grounding by connecting wire. 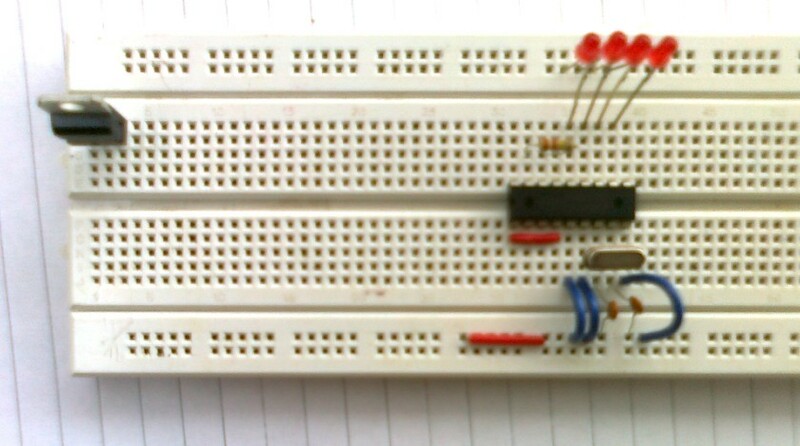 16) Step 16: Connect the 9V battery to 7805 IC. Middle terminal to ground. 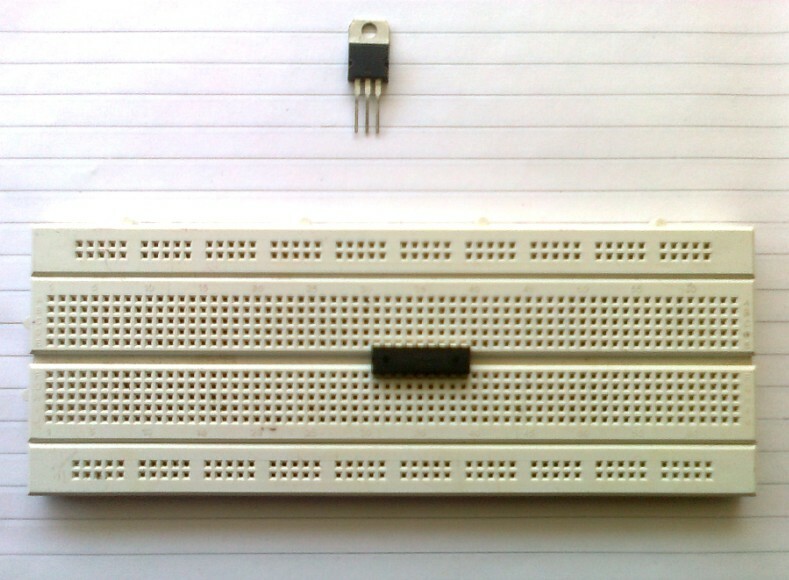 17) Step 17: 5V output given by 7805IC is connected to uppermost row. 18) Connect your mobile to the audio jack. Like our facebook page: facebook.com/myclassbook for future updates. Watch YouTube video for this project.